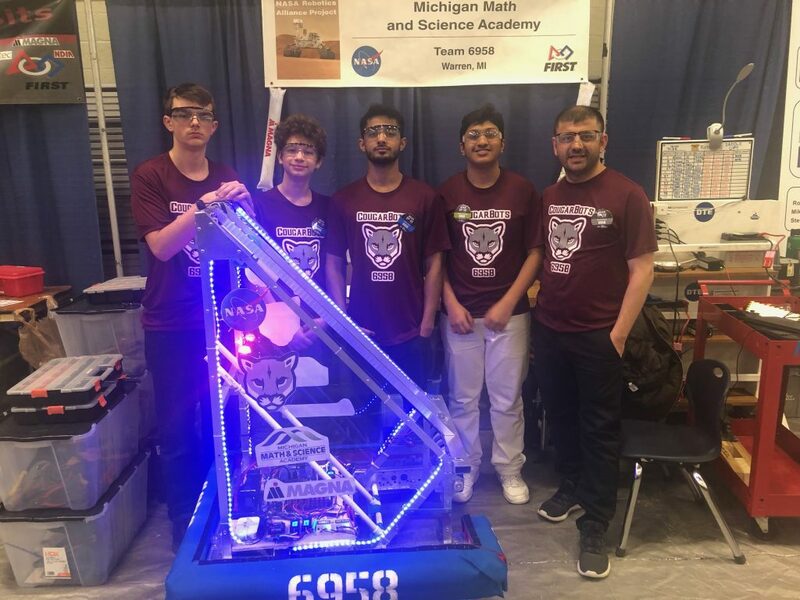 Michigan Math & Science Academy Dequindre Charter School by Concept Schools > News & Updates > Uncategorized > FRC Robotics Success! 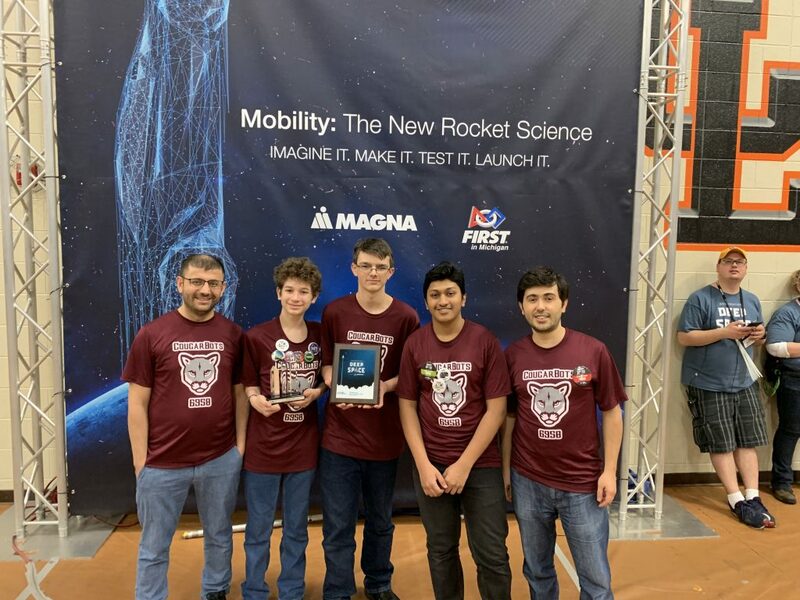 Comments Off on FRC Robotics Success! 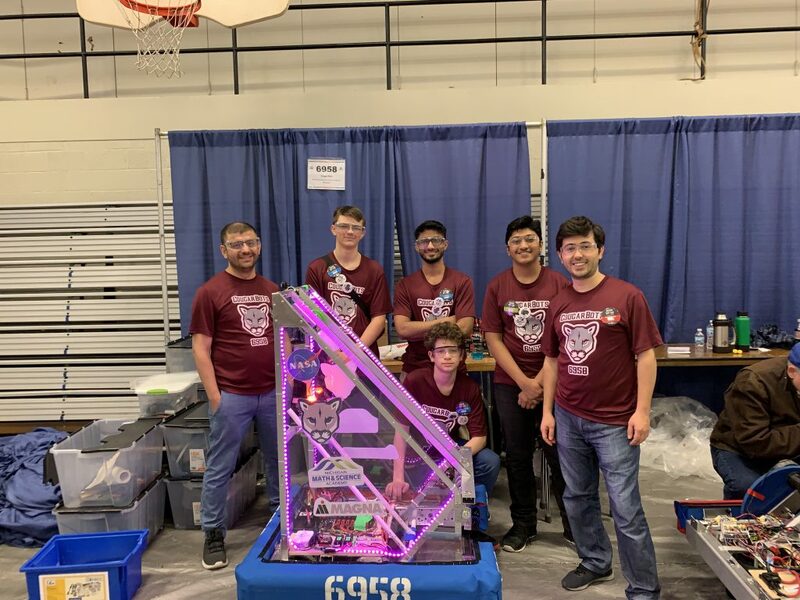 Our CougarBots completed their first FRC robotics competition successfully on this Saturday. After 80 qualification games in 2 days, we ranked 5th place over 40 teams. 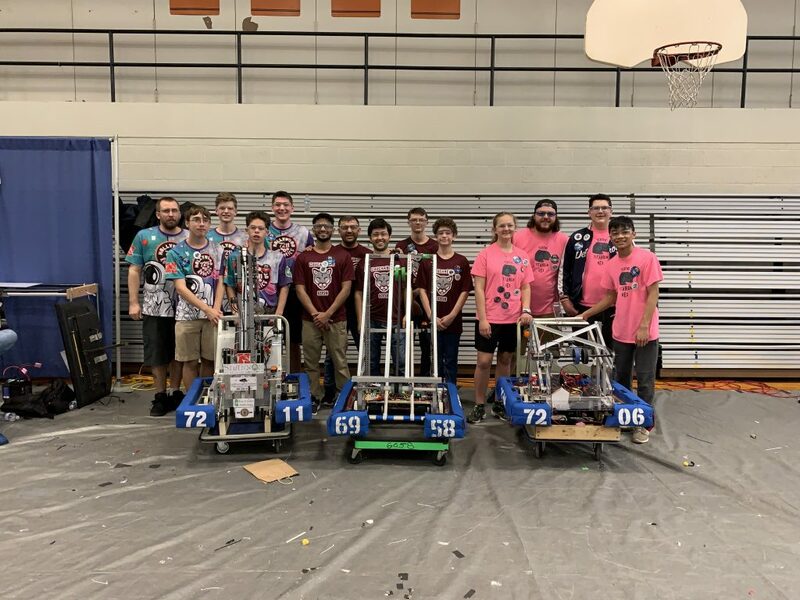 We advanced to the playoffs as a Team alliance captain. Our team and alliance teams did a great job and we advanced to semifinals. Unfortunately, we played against soon to be event champion during semifinals and got eliminated. Overall, our team did an excellent job and got 5th place and received the Judge Award. Michigan Math and Science Academy K-12 is managed by Concept Schools. Concept Schools is a nonprofit charter management organization that provides a high-quality, STEM-focused and college-preparatory education through a network of charter schools while offering exceptional programs, comprehensive services, and opportunities to partner in education.